The Galaxy Series uses patented Global Locating System technology to provide two-way global tracking and monitoring of the location and status of intermodal assets. SkyBitz Inc., a leading remote asset tracking and information management solutions provider, announced its next-generation solution for the intermodal industry, for the first time offering two-way global tracking and monitoring. The state-of-the-art SkyBitz Galaxy Series uses patented Global Locating System (GLS) technology to track the location and status of intermodal assets, providing intermodal operators visibility of their assets’ entire chain of events, from the arrival and departure from customer sites to all events occurring in between. One of the biggest challenges the intermodal industry faces is obtaining complete visibility for tracking assets without an external power source because assets move from various transportation modes like trucks, rail, etc. Device design, low cost, and low-power consumption make the SkyBitz Galaxy Series ideal for the intermodal industry. The Galaxy Series enables business operations to have total visibility of their assets for years at a time without having to connect to a power source. In addition, managers can program reporting requirements with the device to have it shut it off for periods of time and in geographic zones, such as when the asset is on rail, to save even more power and unnecessary reporting, creating a lower cost of ownership and easy maintenance. The Galaxy Series intermodal solution is designed to provide ultimate ease and flexibility in installation, maintenance, and operation. It is built rugged to withstand harsh environments, is easy to install (on average taking 30 min. or less), and the external antenna allows for flexible and stealth installations. Built for better efficiency, the Galaxy Series supports more streamlined reporting processes, intelligent messages for better visibility of business operations, and faster, richer information about the asset and its environment. The solution also allows for cargo status data via sensors and more intelligent and responsive self-diagnostics, allowing for over the air troubleshooting. The feature-rich characteristics of the SkyBitz Galaxy Series allow intermodal businesses to improve customer satisfaction through security and accountability, reduction of delays, and more on-time delivery. The solution also aids businesses to proactively monitor and identify any potential issues before they disrupt a customer’s supply chain. In addition, it can help intermodal businesses to become more competitive with long-haul truckload carriers through improved operating efficiencies by increasing revenue loads per trailer, reducing turn cycle times, and ensuring optimal operating conditions. SkyBitz Inc., a wholly owned subsidiary of Telular Corp., is a leader in global remote asset management solutions, providing real-time information on the location and status of assets. More than 700 enterprises rely on SkyBitz technology to achieve total asset visibility, improved security, lower operating and capital expenses, and enhanced customer service. 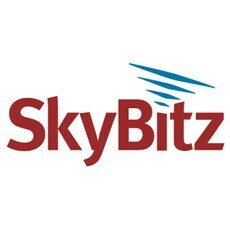 SkyBitz delivers its solution via SkyBitz Insight, a secure Web-based application that is fully customizable, requiring no software downloads.